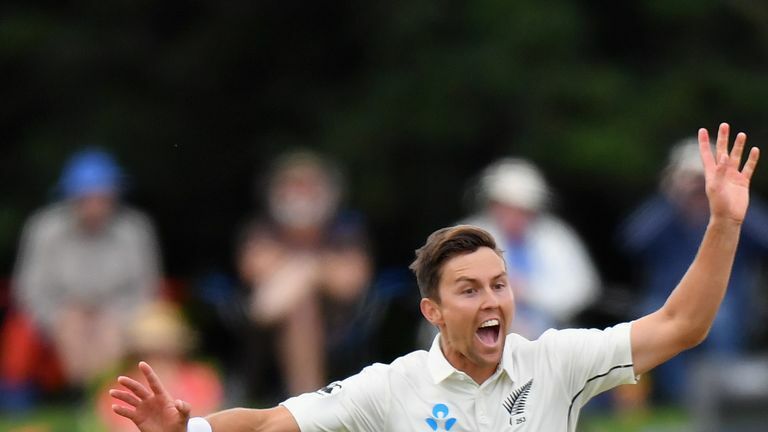 Six wickets in 15 balls... Trent Boult shredded Sri Lanka's batting line-up during a scintillating spell in Christchurch! Watch Boult's stunning effort in the video at the top of the page. Boult, 29, had Roshen Silva and Dickwella caught behind by new-ball partner Tim Southee and then proceeded to pin Sri Lanka's last four batsmen lbw for ducks - Dilruwan Perera, Suranga Lakmal, Dushmantha Chameera and Lahiru Kumara all failing to score. The Kiwi quick completed a five-wicket haul in a record 11 deliveries, beating the 12 balls it took South Africa's Jacques Kallis, Windies' Kemar Roach and Australia's Monty Noble to achieve the feat. So what was Boult's secret? "I was just trying to pitch the ball up really. "It's all about rhythm - for me anyway. A couple of wickets gives you a bit of confidence and just lets you go about your thing. "I was just lucky enough to get a bit of reward." 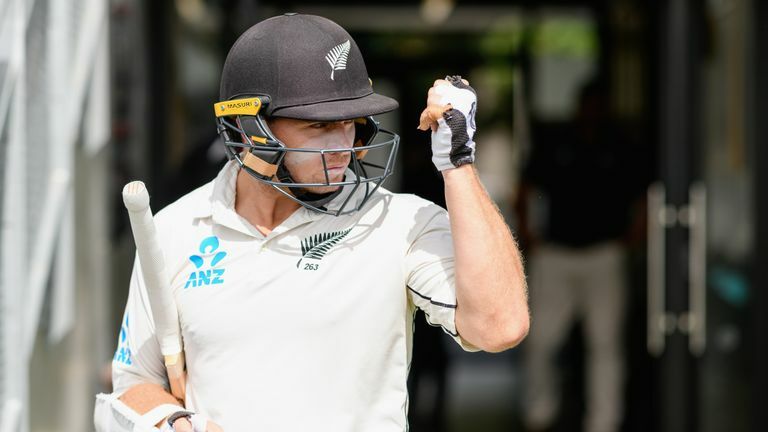 Watch day three of the second Test between New Zealand and Sri Lanka live on Sky Sports Cricket from 9.55pm on Thursday - the Black Caps will resume on 231-2 with a lead of 305.